hilary hudson clifton - Phillips Murrah P.C. Eight 1L students were awarded the Best Brief Award, sponsored by Phillips Murrah, on April 19 at the University of Oklahoma’s Competitions and Clinic Awards Luncheon. First-year law students in the University of Oklahoma’s College of Law put their studies to the test to compete for the Best Brief Award, sponsored by Phillips Murrah law firm. “All 1L students at OU Law are required to write an appellate brief in their Legal Writing and Research class, and this brief is later used to argue their case in the 1L Moot Court Competition,” Attorney Kendra M. Norman said. Following the the 1L Moot Court Competition, top appellate briefs were judged and recognized at The Competitions and Clinic Awards Luncheon on April 19 at Robert S. Kerr Student Lounge on campus. 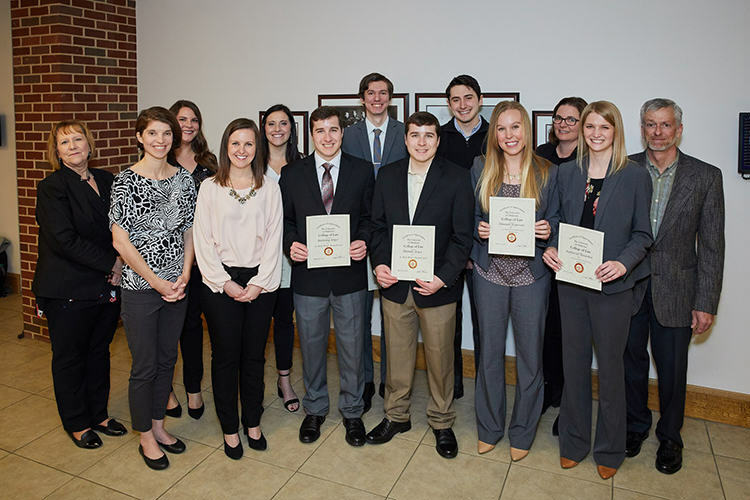 Norman and Hilary H. Clifton, Phillips Murrah Attorneys and OU Alumnae, represented the Firm in awarding the $5,000 Best Brief Award to the top eight students. The $5,000 prize is divided among the winners and is the only OU College of Law writing award with a monetary gift. “The moot court competition is a very exciting and frequently terrifying right of passage for all first year law students,” Clifton said. “At first, writing the brief seems like an insurmountable task, but it’s such a satisfying feeling to complete your first major piece of legal writing. Norman represents clients in a broad range of transactional matters, and Clifton represents individuals and companies in the Firm’s Litigation Practice Group. Click here to learn more about the OU College of Law.